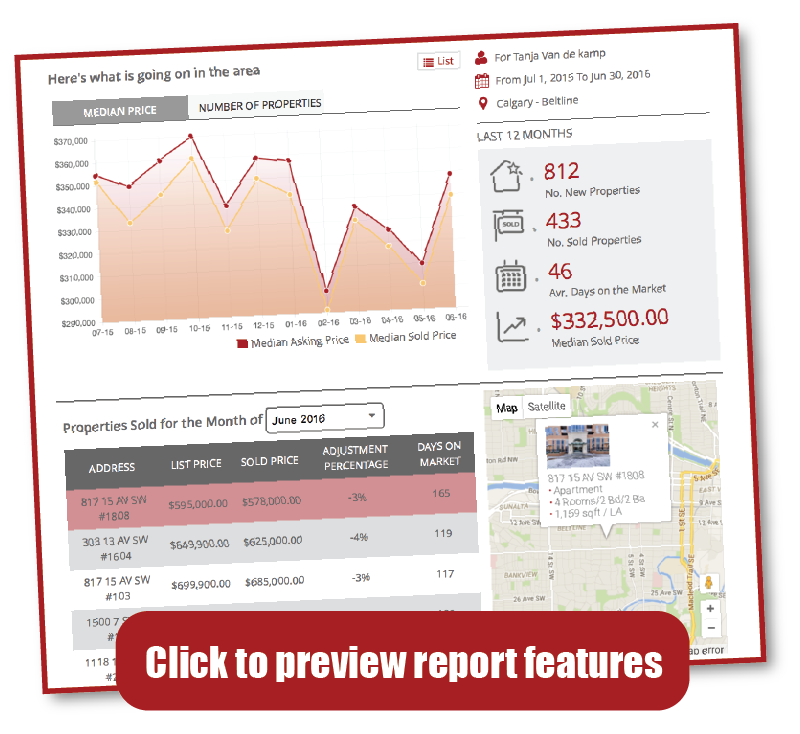 The reports are available for all communities in Calgary and there are reports for detached houses, attached houses, condos and townhomes. If you are thinking about selling your home, monthly market reports are an invaluable resource. Here is a preview of a market report for Valley Ridge. 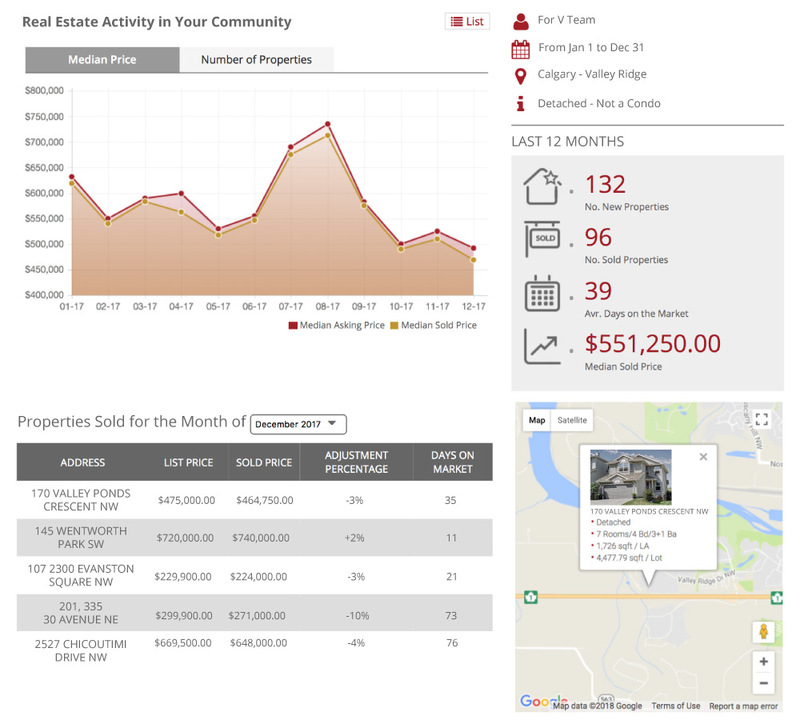 Your market report will be interactive and customized for property type (detached, attached, townhomes or condos) and your Calgary community.